Excitement is certainly building for this year’s Geneva International Motor Show! There are always big debuts there, and it is quite unique! The show’s location is just beautiful. Who wouldn’t want to go conquer the Swiss Alps after checking out some new SUVs at the show? Sounds like quite an adventurous life -- just what SUV lovers are after! 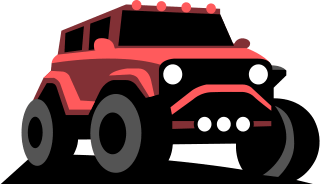 As SUVs and trucks continue to grow in popularity, they also continue to be show stealers. Some big name luxury brands will be debuting new SUVs at this year’s motor show in Geneva, which means the vehicle segment is once again bound to steal the spotlight! For example, Bentley will be presenting what they claim to now be the world’s fastest SUV (slightly beating out the popular Lamborghini Urus). It’s known as the new Bentayga Speed! Then, Aston Martin will have its Lagonda All-Terrain Concept on display. It will give us a good sense of what the first production vehicle from the Aston Martin spinoff brand will look like. Plus, there are some other exciting SUV debuts planned! Keep reading for more! The battle of the super SUVs continues! Just over a year after the Lamborghini Urus made a splash by debuting as the world’s fastest production SUV, Bentley has answered with its own! Bentley says its new Bentayga Speed SUV is now faster than the highly coveted Urus. But, not by much! Bentley says its 6.0-liter, twin-turbocharged W12 churns out 626 horsepower. It’s able to go from 0 to 62 miles per hour in 3.9 seconds. Some experts point out that Bentley’s new claim of having the fastest SUV might sound suspect to you, though, if you consider the Urus’ stats. The Urus produces 641 horsepower and Lamborghini says it can go from 0 to 62 mph in 3.6 seconds. But, the Urus’ top speed clocks in at a rated 189.5 mph. The Bentley Bentayga Speed, meanwhile, can get up to 190 mph! That technically now makes the Bentley Bentayga Speed the world’s fastest SUV, even though owners would likely never be able to reach those high speeds anyway! At the end of the day, these SUVs are both incredibly powerful and fast. Like the Urus, the Bentley Bentayga Speed comes with an eight-speed automatic transmission. It also has a sport mode that Bentley recalibrated in order to enhance response from the engine and transmission. The Speed model is also more stylish, it has darkly tinted headlights, for example, and “Speed” brand badging all over the luxury SUV. You can opt for 22-inch wheels and as for the interior, you have the choice between Alcantara and leather. 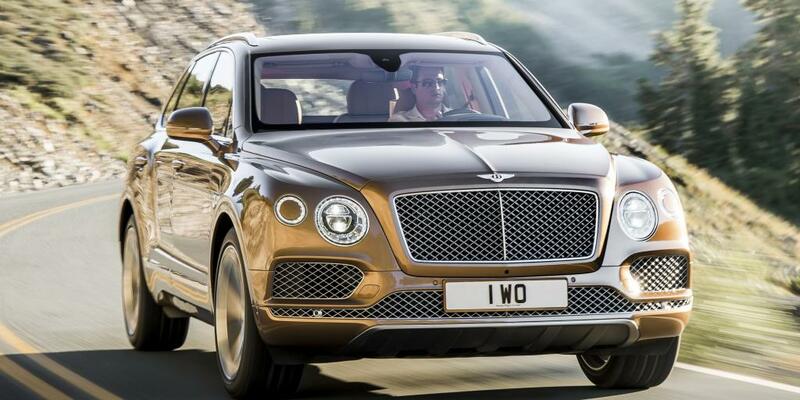 Since the regular Bentayga starts around $200,000, you can expect the Speed model to cost even more! This is far from a cheap SUV! 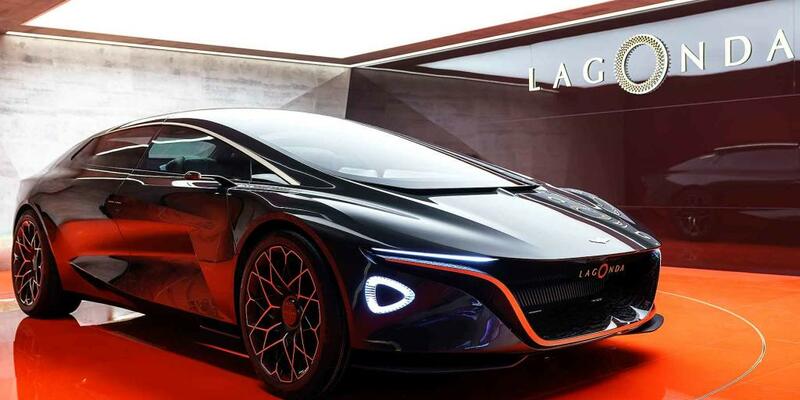 Aston Martin has a spinoff brand called Lagonda, which is set to launch its first production vehicle in 2021. A report from last year hinted that Lagonda’s first product would be an electric SUV. So, it’s not surprising Aston Martin has confirmed the Lagonda All-Terrain Concept for the Geneva show. The All-Terrain will be the first model Lagonda will put into production. The utility has a similar look to the Vision Concept, which Lagonda previously came out with. 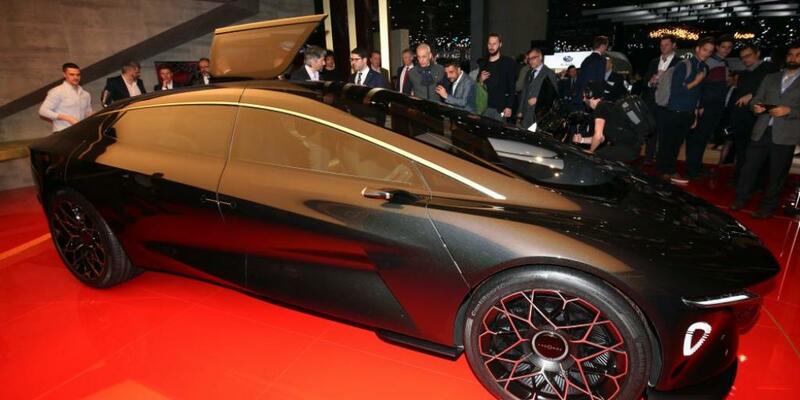 Aston Martin is proud of this luxury SUV concept and also its Lagonda brand. It even calls Lagonda, “the world’s first luxury zero-emission brand.” We think Tesla might have a problem with that claim, though. A small crossover SUV concept will be on display from Audi at this year’s Geneva Motor Show. The Q4 concept previews a smaller production E-Tron crossover in late 2020 or early 2021. While people are excited to learn more about the Q4 E-Tron, Audi hasn’t released many details about it yet. We will say, though, that the small SUV has a sleek profile. It also looks to have huge wheels! 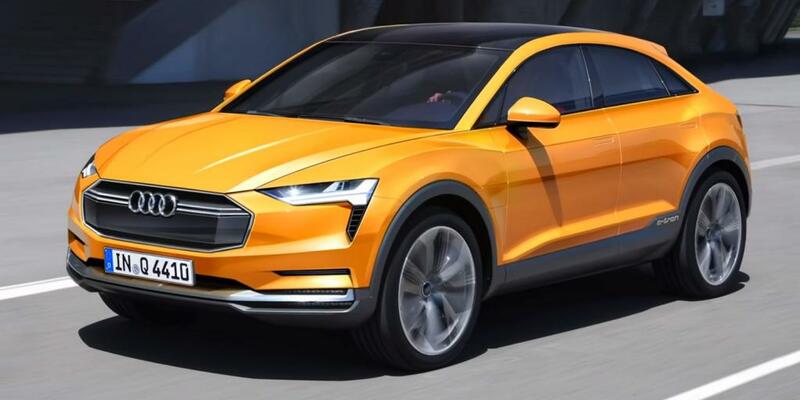 After people were blown away by the Audi E-Tron GT concept, they’ll definitely be eager to see this new one. However, some are hoping this smaller version will be better than the E-Tron SUV model that’s entering production soon. Mitsubishi has also teased a new electric SUV concept ahead of this year’s Geneva Motor Show. It’s called the Engelberg Tourer. The vehicle is named after a rugged Alpine town in Switzerland with a history of sporting success. It appears people have been off-roading there for years. 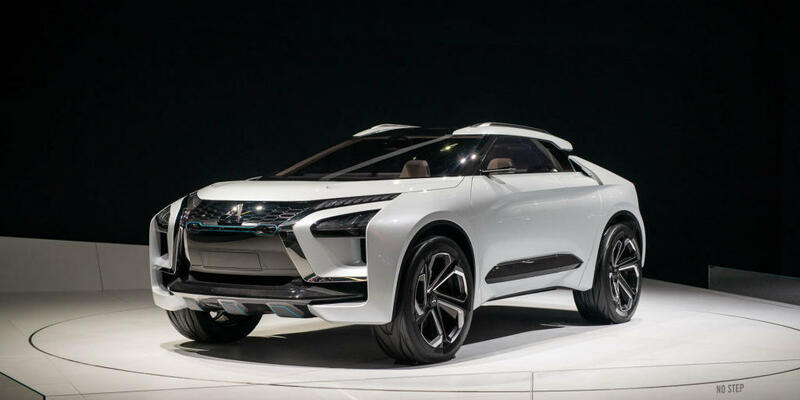 Mitsubishi says it’s bringing “more SUV, more EV, more technology and more style” with this concept. It appears there could be some cool camera side mirror technology with this Engelberg Tourer. It also has some modern lighting elements that hint at the electric powertrain. We’re definitely excited to learn more about it at this year’s show! The new electric SUV concept won’t be the only thing to come from Mitsubishi in the sport utility vehicle segment at this year’s motor show in Geneva. Mitsubishi will also have a refreshed 2020 Outlander Sport on display. Although the Outlander Sport hasn’t had a major redesign since it was first introduced in 2011, Mitsubishi is only giving it a mild update. The entire front fascia is changed, though, and the vehicle overall has a more angular look. Inside the new Outlander Sport, there’s a larger infotainment screen. Much of the rest of the interior looks the same. We’re not sure about what will be offered under the hood just yet, but some predict this new Outlander model will use the same 148 hp 2.0-liter, four-cylinder that’s currently available. Although this isn’t a significant overhaul for the Outlander Sport, Mitsubishi might just be trying to not mess with a good thing. 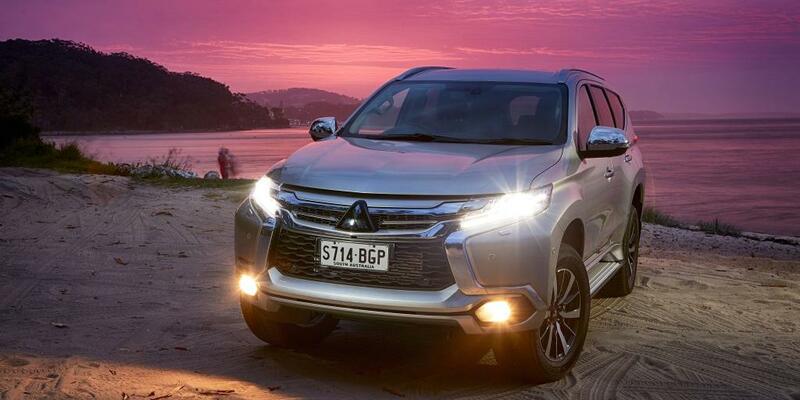 After all, the Outlander is Mitsubishi’s best-selling vehicle in America, and the third-best worldwide!